More than one-quarter of U.S.-based ETFs and index mutual funds are linked to the S&P 500 index’s performance and composition, according to data from Morningstar. That exposes underlying risks, such as the largest companies determining the cap-weighted index’s direction and the threats that poses to diversification. 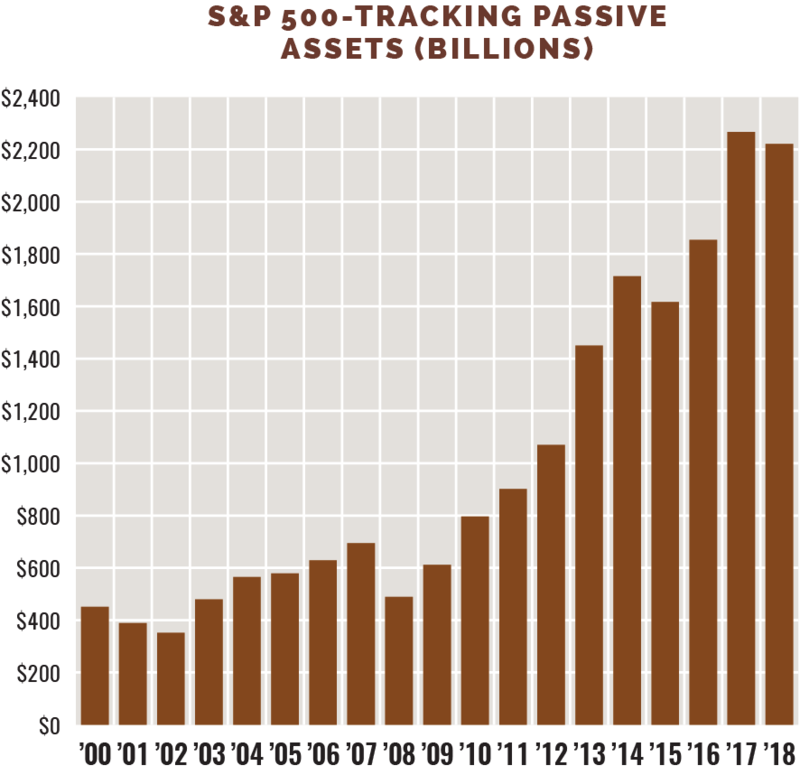 Queens of the index age: About $2.2 trillion in total assets were in S&P index vehicles at the end of 2018, or about 11% of U.S. GDP. That’s up from $600 billion 10 years earlier. 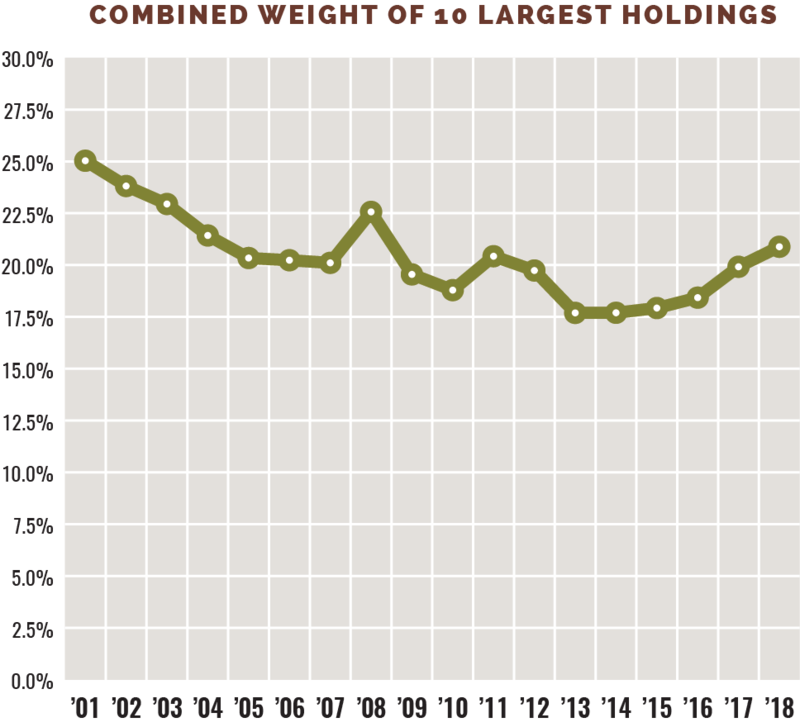 The big 10: The 10 largest positions in the index have varied over the years, but their combined weight has floated between 17.5% and 25% of the total market cap. 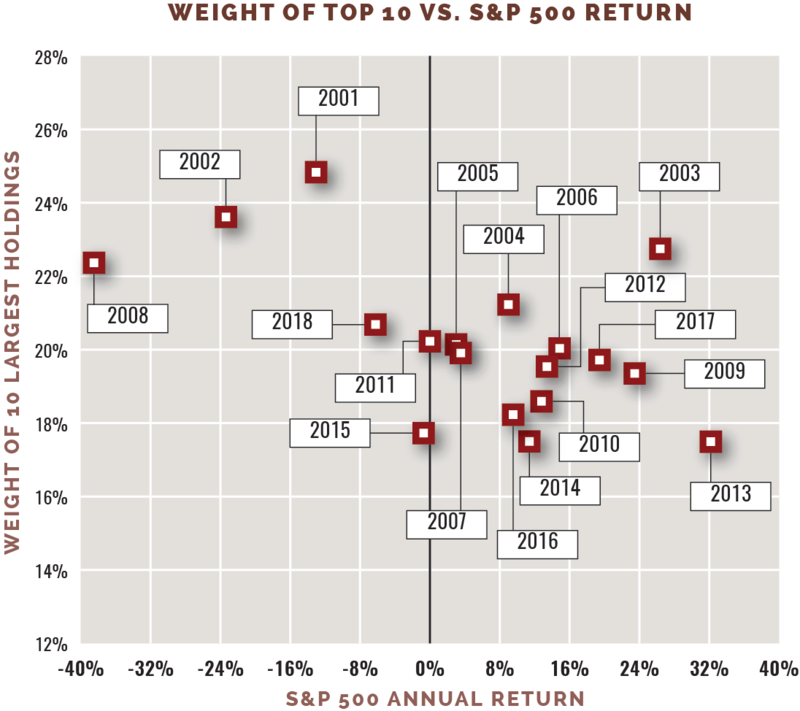 Not always bad: Higher concentrations have shown a negative relationship to returns. However, the largest positions have served as ballast in market downturns, with an average return of -0.6% in down market years. IT dominates: Information technology has been the top sector in the index since 2010, making up as much as 36% of the market values of the top 10 companies. 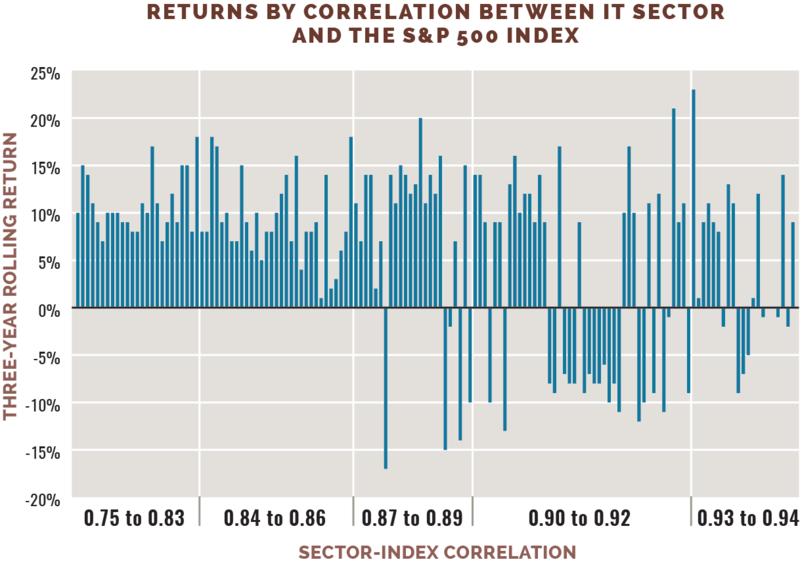 Higher IT sector-index correlations are more often connected to downturns. Sources: eVestment LLC, Bloomberg LP, Morningstar Inc.